This report measures how Americans feel about their physical health, social ties, financial security, community and sense of purpose. Life is good on “Paradise Coast” — home to some of the healthiest, happiest and most relaxed people in the nation. The posh beach community of Naples, Florida, and the nearby towns of Immokalee and Marco Island once again take the No. 1 spot in the Gallup-Sharecare State of American Well-Being 2017 Community Rankings, outshining 185 other U.S. metropolitan areas. It’s the first time the same community has “three-peated,” or topped the list three times in a row since the report began a decade ago, said Dan Witters, research director of the Gallup-Sharecare Well-Being Index. The report measures how Americans feel about their physical health, social ties, financial security, community and sense of purpose. The nirvana is scoring high in all those metrics and achieving holistic well-being. Boulder, Colorado, for example, always scores high in physical health, Witters noted. 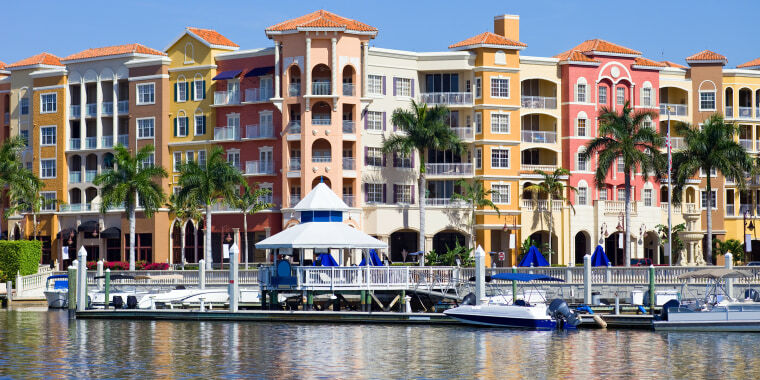 But Naples shines across all five elements, with its residents enjoying healthy bodies and minds, warm relationships, meaningful activities, a sense of safety and good financial health. They also report little depression and stress. In all, five states account for 17 of the top 25 well-being communities: California, Florida, Colorado, North Carolina and Virginia. At the other end of the spectrum, Fort Smith — located on the border of Arkansas and Oklahoma — returns to the bottom of the list. Many residents there report having high blood pressure or diabetes, while the smoking and obesity rates are some of the highest in the nation. About half of the report’s 25 lowest-ranked communities are in the South, though the path of low well-being places also “worms its way north” through the industrial Midwest, Witters said. It’s marked by very poor physical health, poor eating habits, “sky high” obesity, high diabetes and poor financial well-being, he added. That’s Barnstable Town, Massachusetts, where 93 percent of residents said they always felt safe and secure. The cities where residents felt the least safe were Rockford, Illinois; Stockton, California; New Orleans, Louisiana; Memphis, Tennessee and Fayetteville, North Carolina. That’s Gainesville, Florida. But stress isn’t always indicative of low well-being places, Witters said. Residents in Provo, Utah, for example, report the second-highest levels of stress in the nation even though the city always ranks near the top of the well-being index. Naples residents reported the country's lowest stress levels. The report results are based on more than 337,000 phone interviews conducted in 2016 and 2017.